Can bicycling save the economy? Author rablogsplPosted on May 8, 2014 January 20, 2015 Categories BOOKS, Nonfiction, Sports & RecreationTags bicycles, Bikenomics, biking, Seattle Bicycle Master Plan, Selby G.Leave a comment on Can bicycling save the economy? The daffodils and tulips are finally indicating that it is spring here in Seattle. It is time to shake off the winter doldrums and enjoy some fresh air and sunshine. A perfect way to do that in our beautiful city is by bike. Whether you pull an old clunker from storage or plunk down the cash for sparkly new fixie, the library has plenty of biking books to inspire you to get out and ride. Ride your bike to work (and fix it too)! How did you get to work today? If you’re like the vast majority of Seattle residents, chances are good that you drove your car or took the bus. On your commute, you probably saw at least a few people riding bicycles: according to the most recent US Census data, 3.6 percent of Seattlites use bicycles as their primary mode of transportation to work. That may not sound like much, but Seattle is now second only to Portland in the number of bicycle commuters nationwide. In the past year, the number of people biking to work in Seattle increased by 22 percent. Want to join the ever-expanding ranks of Seattle’s urban cyclists? The Seattle Public Library is here to help. As part of the fall Urban Self-Reliance program series, the Library is offering “Introduction to Bike Commuting” classes at five branches around the city. A certified Cascade Bicycle Club instructor will cover many topics of interest to budding cycle commuters including rules of the road, route planning, cycling gear and much more! If you’re already riding around town but feel helpless when you get a flat tire, check out the Bicycle Maintenance classes in the same series. Friendly, knowledgeable instructors from the Bikery will teach you how to fix a flat, lubricate your drive chain, adjust your brakes and more. All classes are free and do not require advance registration. Zinn & the Art of Road Bike Maintenance by Lennard Zinn. 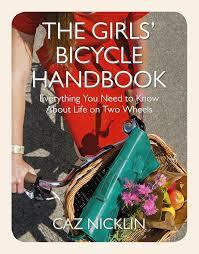 A classic that should be on every road bike owner’s shelf. The Chainbreaker Bike Book: A Rough Guide to Bicycle Maintenance by Ethan Clark and Shelley Lynn Jackson. From the publishers of Chainbreaker zine, this hand-illustrated guide to bicycle repair is a great resource and wonderful introduction to DIY bike culture. Check ’em out, and start riding (and fixing) your bicycle today! Author rablogsplPosted on September 30, 2011 May 4, 2014 Categories BOOKS, LOCAL INTERESTTags Abby B., bicycles, bicycling, bikes, commuting, Library Events, Nonfiction, Urban Self-Reliance2 Comments on Ride your bike to work (and fix it too)! 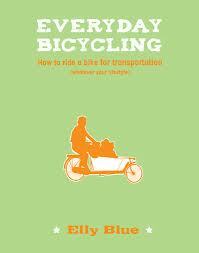 I’ve been reading some interesting books about bikes and bike riding, racing and commuting. Here are a few books that have an interesting angle or two. Sometimes the angle is from the ground looking up. This is Parkin’s follow up to his very popular A Dog in a Hat. This time he returns to the states and learns to ride a wide tired bike over snowmobile tracks. When he finally gets his chance to race in America he finds this snow training has been all wrong for the quick and tumble races that lay before him in the American South.